The story of the Ridley never ends. I recently traveled to the beautiful beaches of Pensacola Beach, Florida to witness the newest threat to this species first hand. While the oil well disaster off the Louisiana coast is not the first threat to this sea creature, it is certainly of highest concern in this day of conservation. Man is its worse enemy. Man drove it to near extinction by excavating its eggs from the northern and central Gulf shore sands for food without regard to the future of this turtle. Man has again done something quite stupid, risking the animal's very being. Fortunately, we have learned quite a bit over the years on how to manage the survival of this turtle. It nests in the summer in sands sufficiently away from the beach so that the eggs will not be prematurely exposed by tides or storms. The sands are soft enough on the barrier islands to easily dig. The temperature for hatching is optimum a few inches under the surface. Dogs are trained to find the eggs. One cannot tell if there is a nest simply by observation of the surface. Either one digs for them or smells them through the nostril of an animal. A hatch-ling will return to near the place they hatch and at which are first exposed to the water. The first swim determines its return location. When we first removed the turtle from along the upper Gulf coast, Biologists did not have the means to repopulate our shores. An effort for the recovery of the turtle on our shores began to be successful when we began to treat every egg as a precious commodity. By transferring some turtles from Mexico, we began to repopulate the shores. 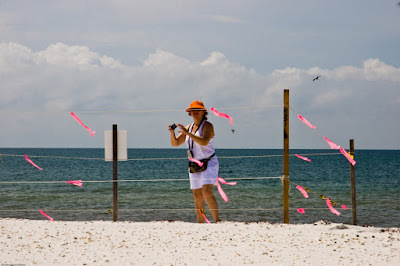 This was done through moving eggs to hatcheries in the USA and letting the babies run from the sands into the water where we wanted them to return. Those working on these projects would catch the turtles in nets and return them to grow in a low risk environment until they were less prone to be eaten by their enemies. 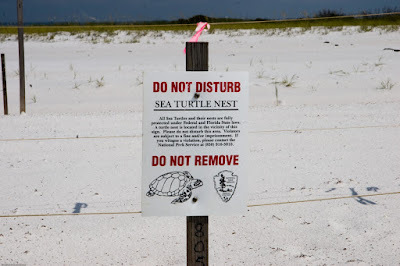 Then the turtles would be released to the place where they were to return to nest. This strategy worked. Today, we are using the same method to conserve what turtles we have remaining on our beaches. 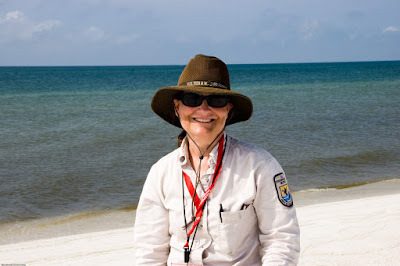 I was fortunate to find the lead resource manager of the wildlife protection initiative in the national seashore at Pensacola Beach. Miss Carol Gale a 30-year veteran of the National Park Service, although stationed in North Dakota, is working there now. Her mission as a Resource Advisor for the Gulf Islands National Seashore is to make sure the turtles and other threatened resources of the park are not harmed by this oil spill or its recovery effort. 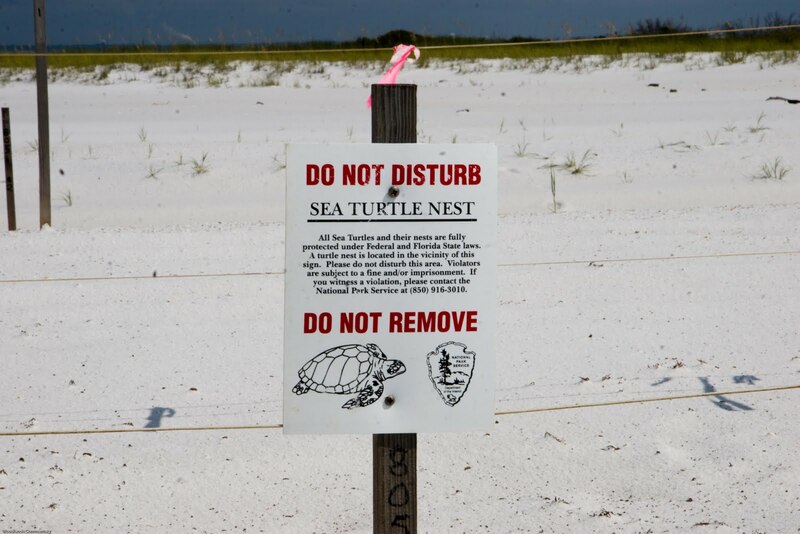 This turtle nest is roped off to fend off any intrusion by people into this small nest zone. There are several in the seashore park. This one happened to be very accessible by the public, just off the access road. 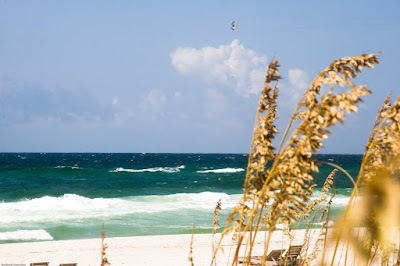 You can see how far away the nest is from the beach. 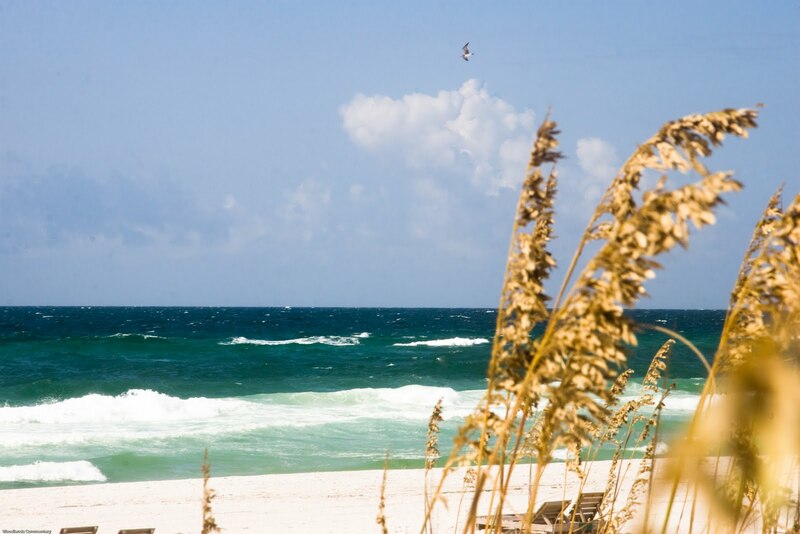 This view is away from the beach. This nest must be 50 yards or more away from the water. This view shows the distance from the beach. The sands are elevated here. To help prevent the cleanup crews from doing harm to the environment and to only work in designated areas, the entire park is flagged with signs. 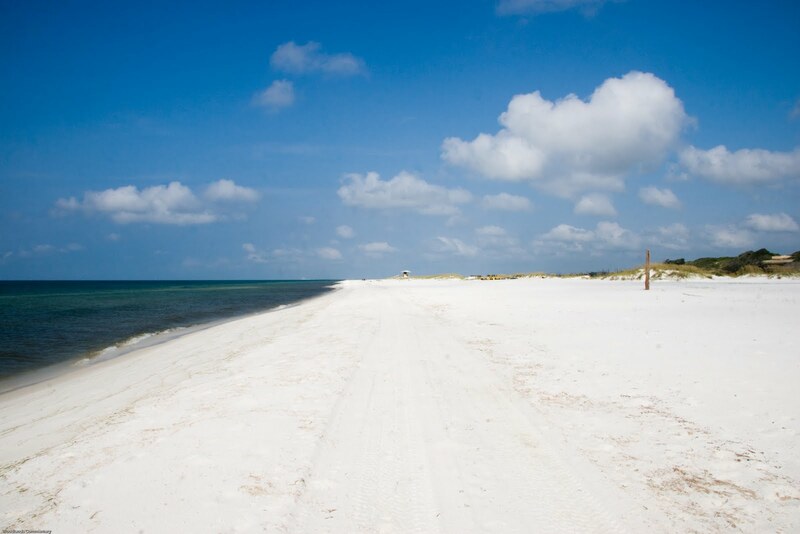 The oil is 18 inches under the surface of the sand. 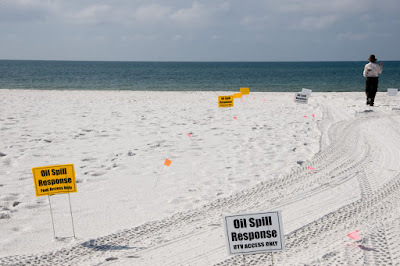 As you may recall, Pensacola did have significant oil on its shores a few months ago in the form of tar. Hopefully this turtle nest is above it and not in it. Actually, I believe the tar is closer to the beach and there was no tar deposited this far away from the beach.